On Monday 22nd April 2019 the sun will rise at 05:48 and will set at 20:19. It will be a mild day, with temperatures reaching around 20.4°C. Today is expected to be a dry day, with a very low chance of rain. It will be quite a breezy day, with a maximum expected wind speed of 20mph. On Tuesday 23rd April 2019 the sun will rise at 05:46 and will set at 20:21. It will be a mild day, with temperatures reaching around 16.7°C. Today is expected to be a dry day, with a very low chance of rain. It will be quite a breezy day, with a maximum expected wind speed of 17mph. On Wednesday 24th April 2019 the sun will rise at 05:44 and will set at 20:23. It will be a mild day, with temperatures reaching around 16.9°C. A few showers are expected, 3mm of rainfall is possible today. It will be quite a breezy day, with a maximum expected wind speed of 19mph. On Thursday 25th April 2019 the sun will rise at 05:42 and will set at 20:25. It will be a mild day, with temperatures reaching around 13°C. Today is expected to be a dry day, with a very low chance of rain. It could be quite a gusty day today, with a maximum expected wind speed of 24mph. On Friday 26th April 2019 the sun will rise at 05:39 and will set at 20:26. It will be a mild day, with temperatures reaching around 14.7°C. A light shower is possible, 1mm of rainfall is possible today. It will be quite a breezy day, with a maximum expected wind speed of 23mph. On Saturday 27th April 2019 the sun will rise at 05:37 and will set at 20:28. It will be a mild day, with temperatures reaching around 13.9°C. A light shower is possible, 2mm of rainfall is possible today. It will be quite a breezy day, with a maximum expected wind speed of 25mph. On Sunday 28th April 2019 the sun will rise at 05:35 and will set at 20:30. It will be a mild day, with temperatures reaching around 7.5°C. Today is expected to be a dry day, with a very low chance of rain. It will be quite a breezy day, with a maximum expected wind speed of 21mph. 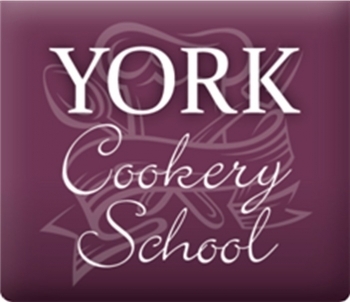 Based in York, we have a team of expert chefs and instructors who can show you how to create tasty treats and delicious dishes. We offer a range of mouth-watering cookery classes, from cupcakes and macarons to cuisine from far-flung places. With classes for all ages and abilities, from beginners to accomplished cooks, you’re sure to find the right class for you.